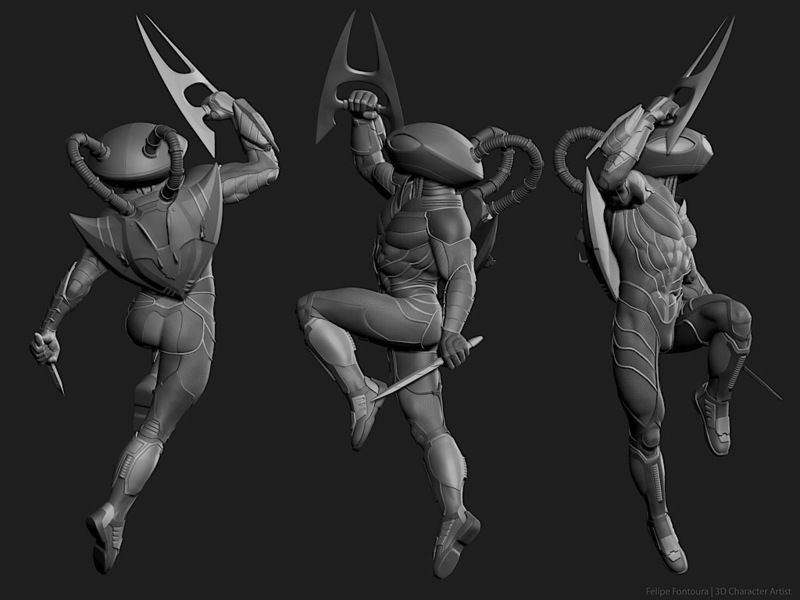 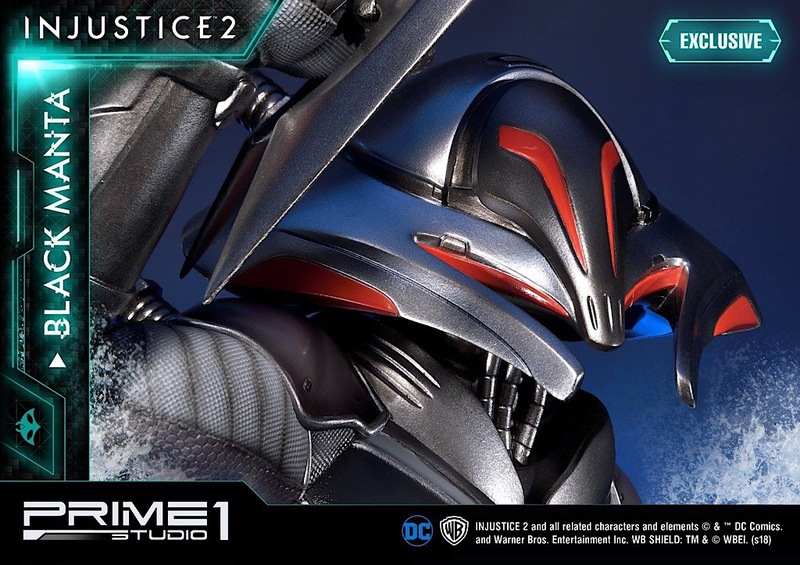 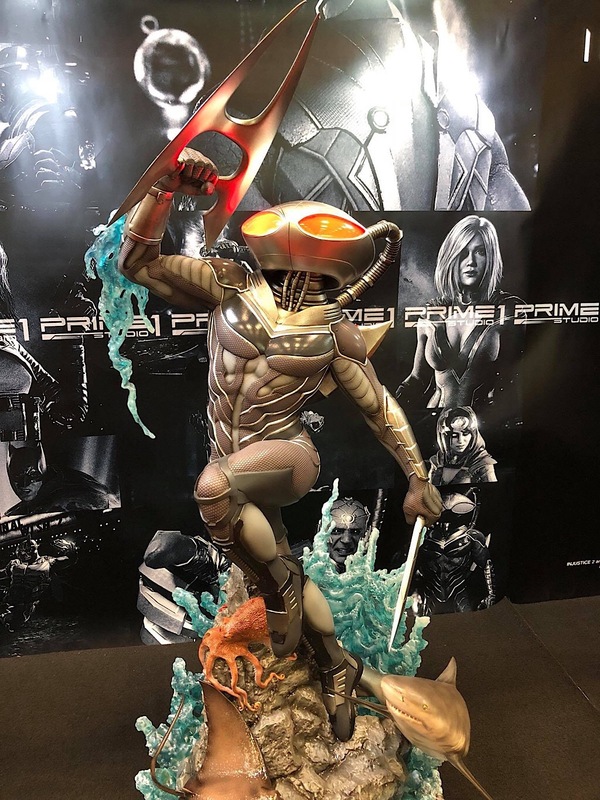 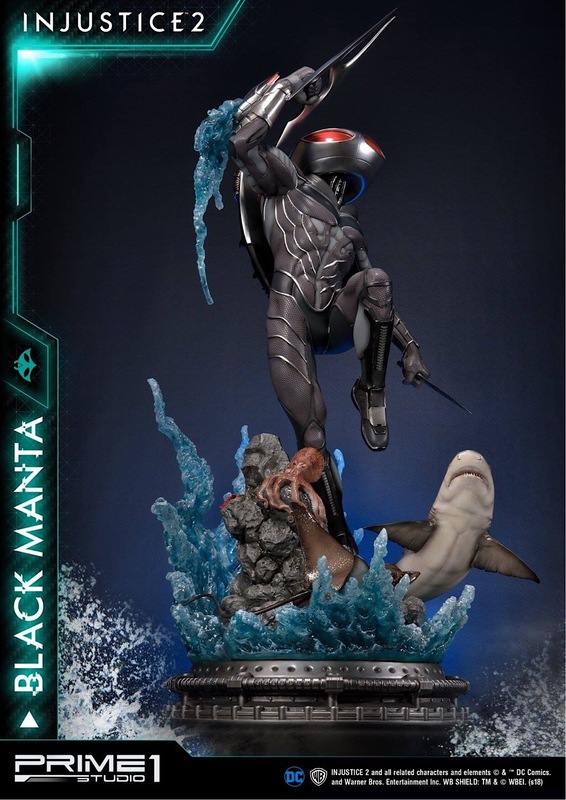 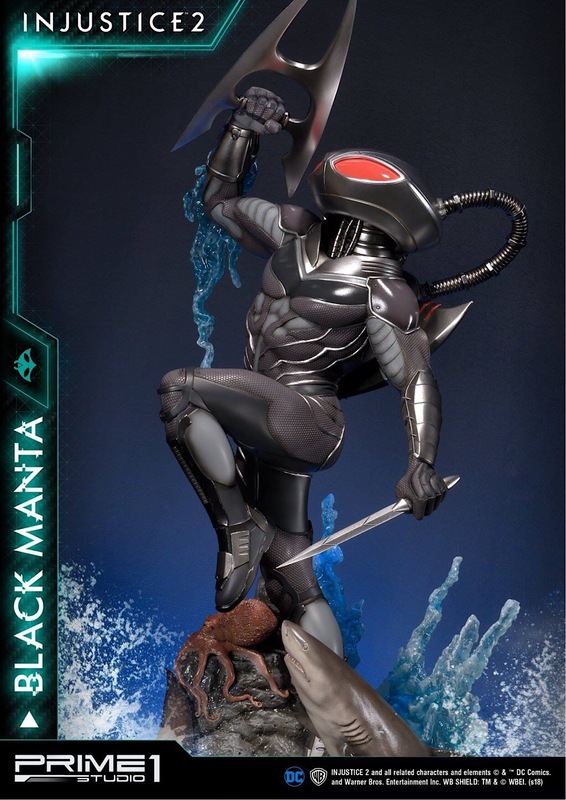 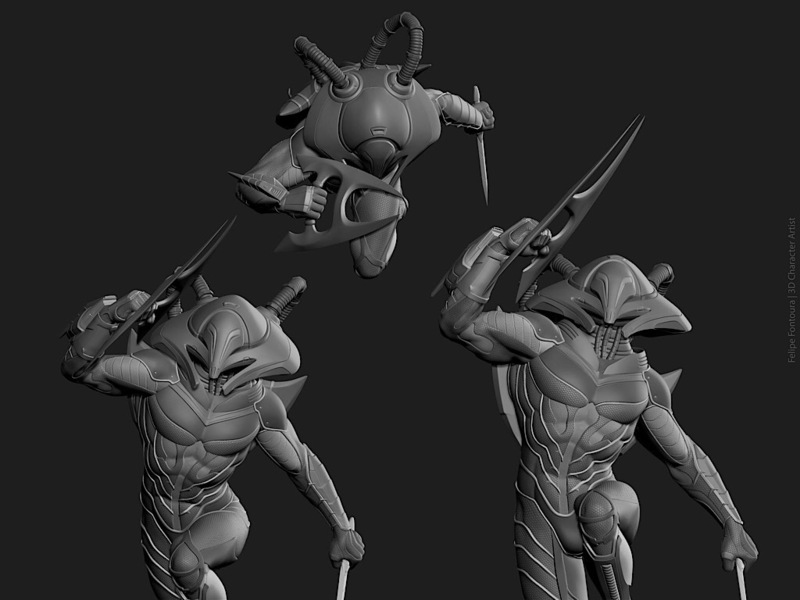 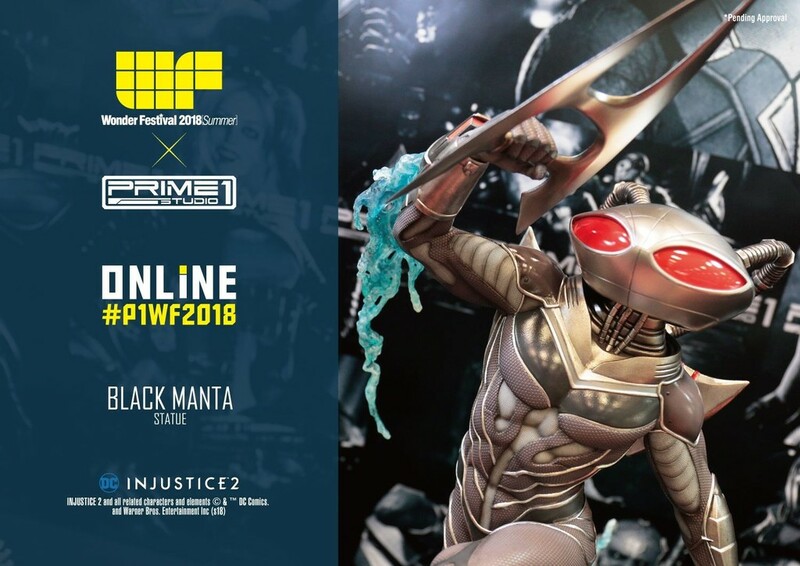 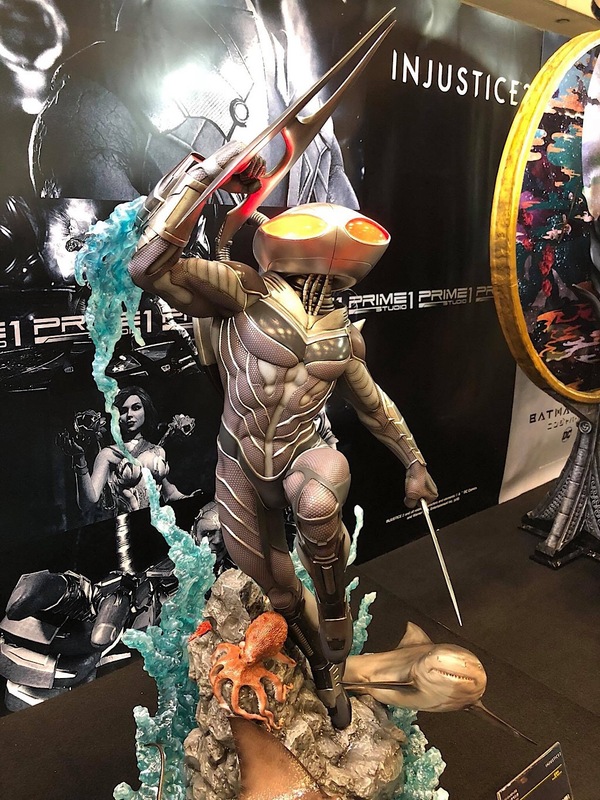 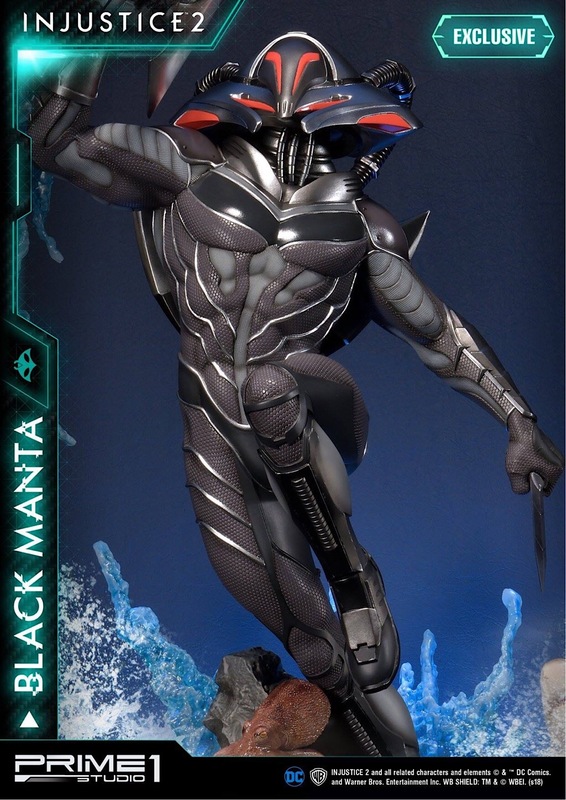 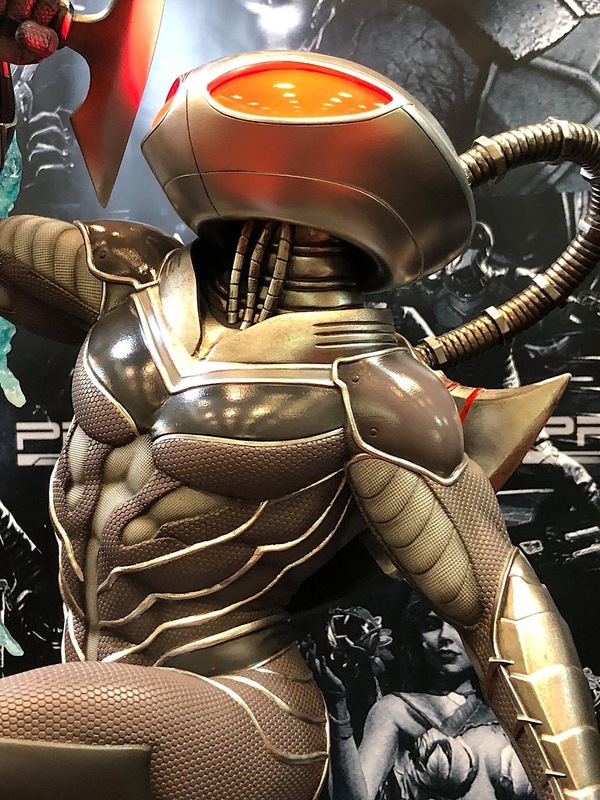 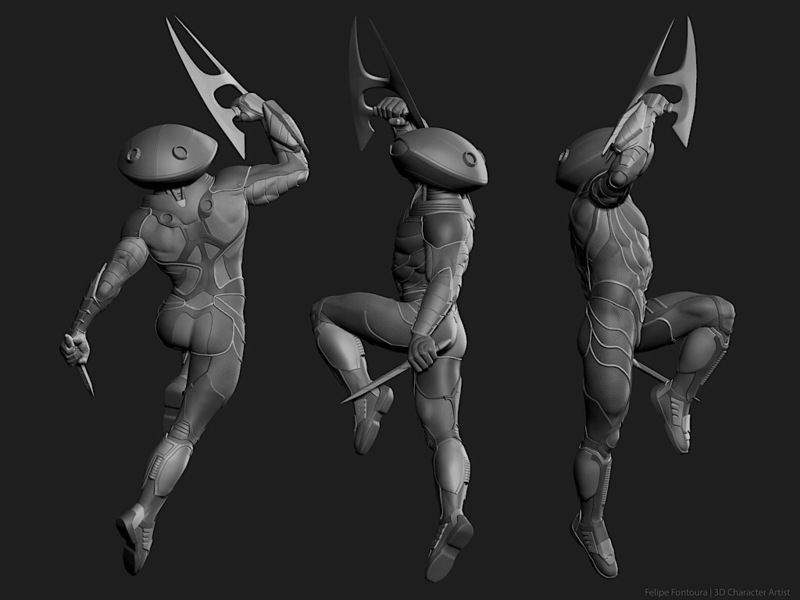 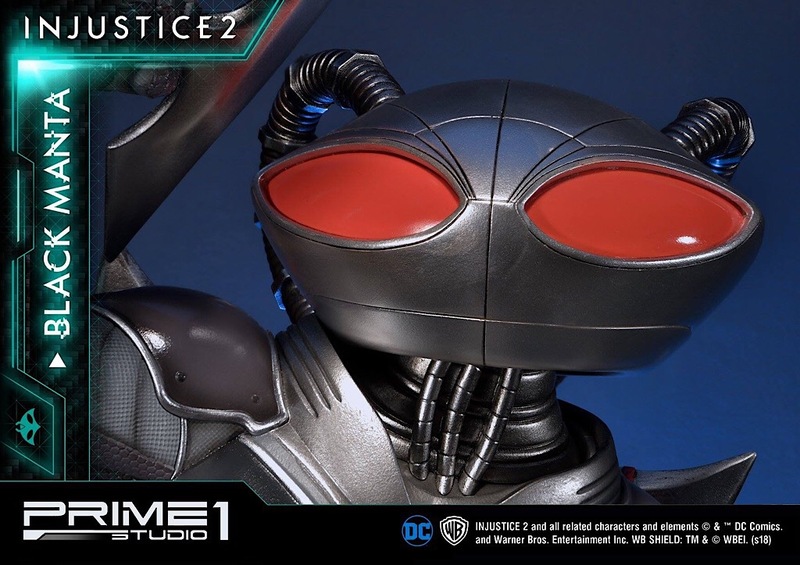 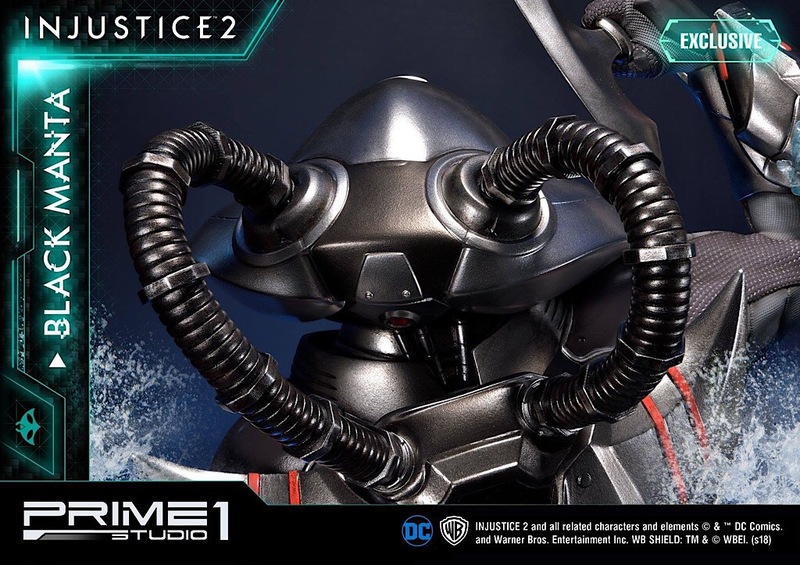 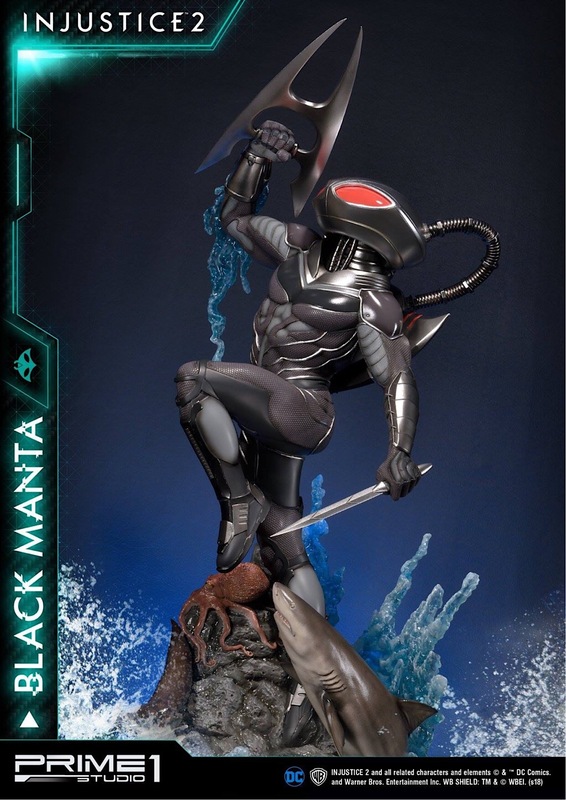 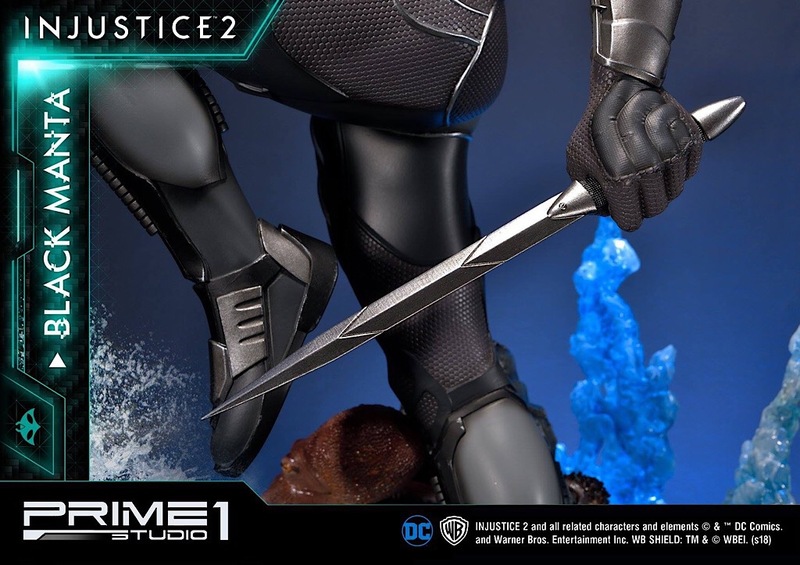 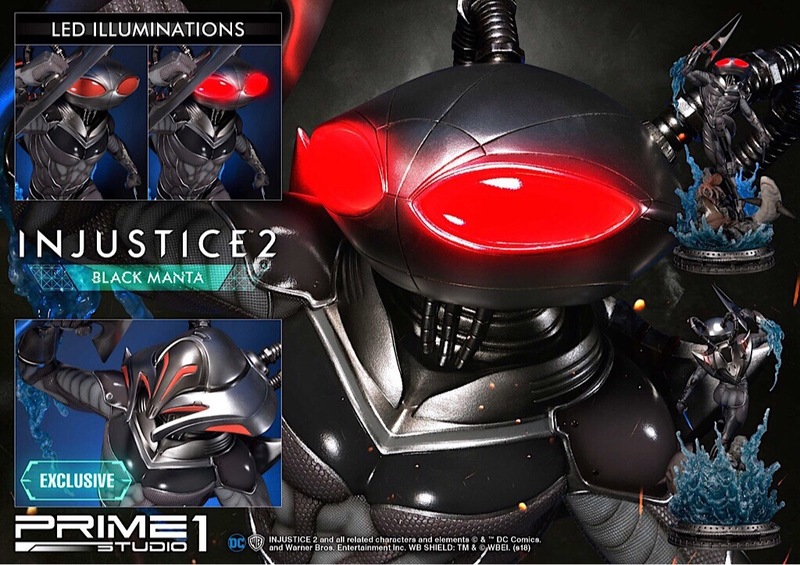 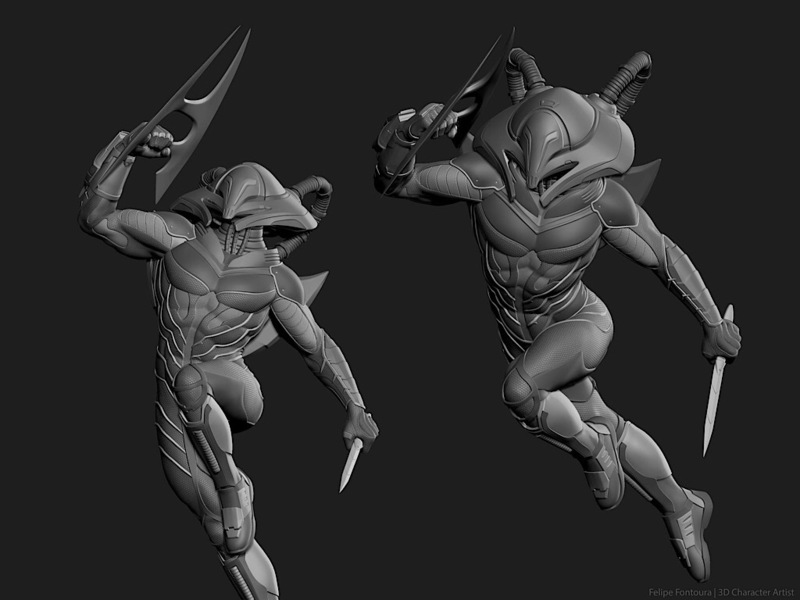 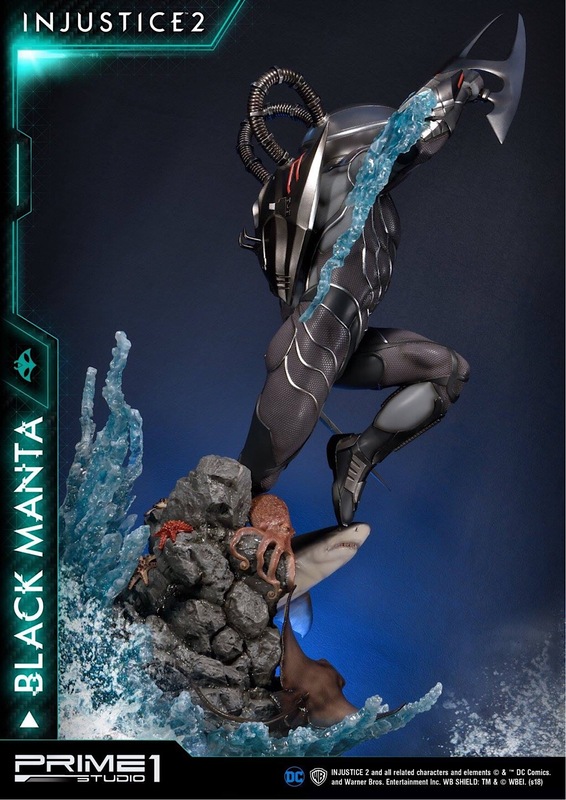 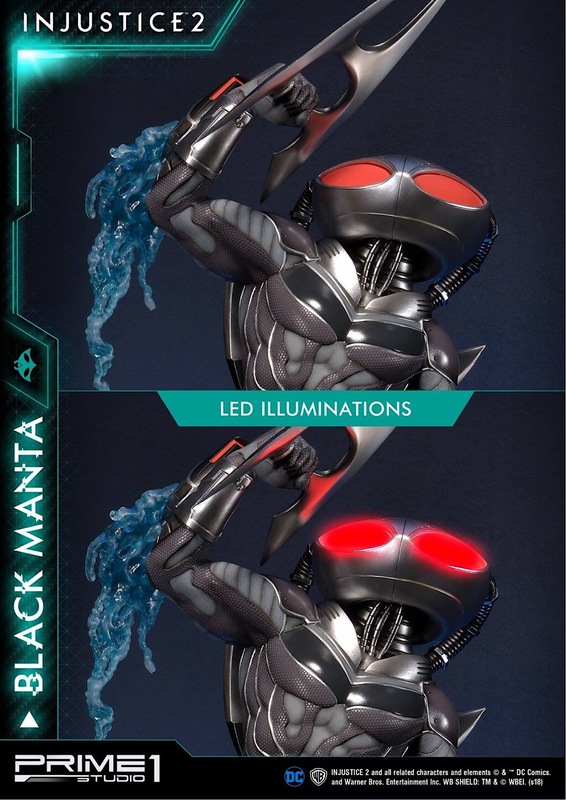 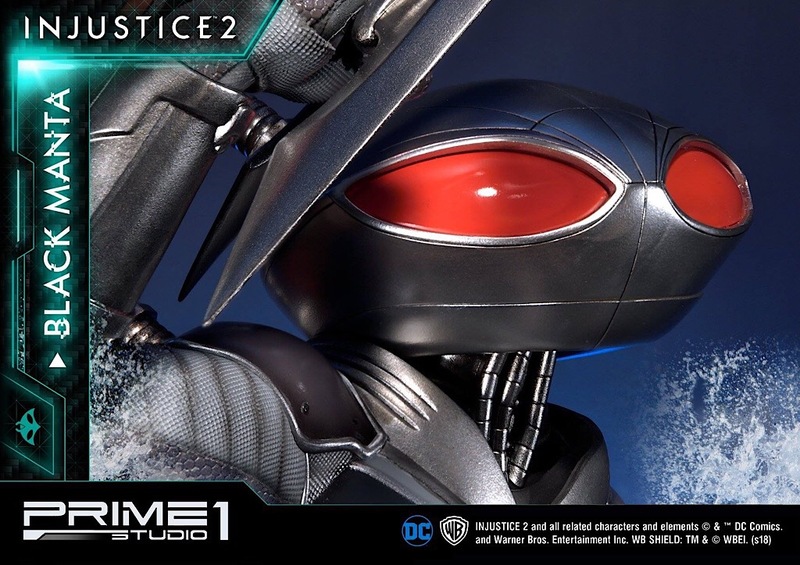 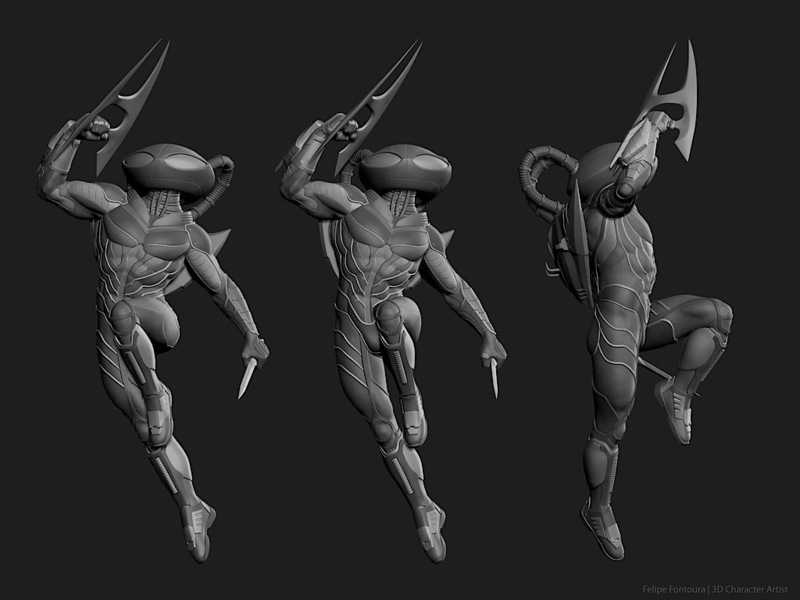 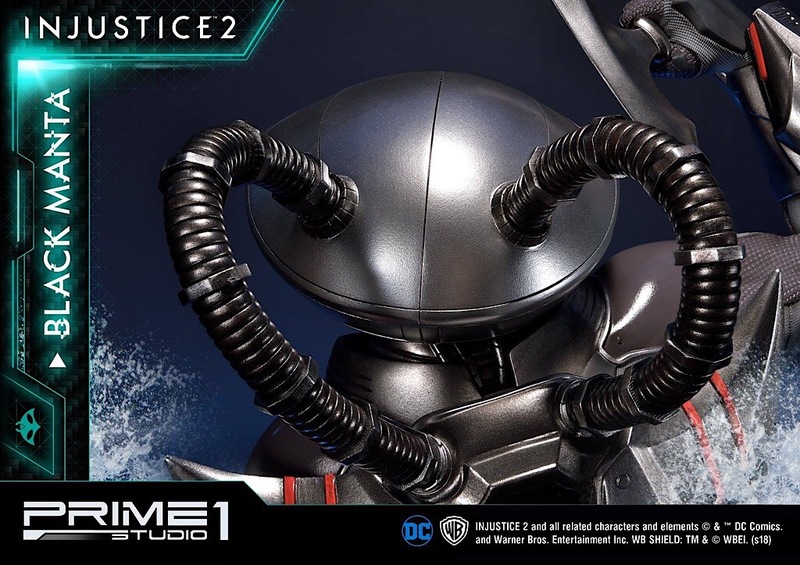 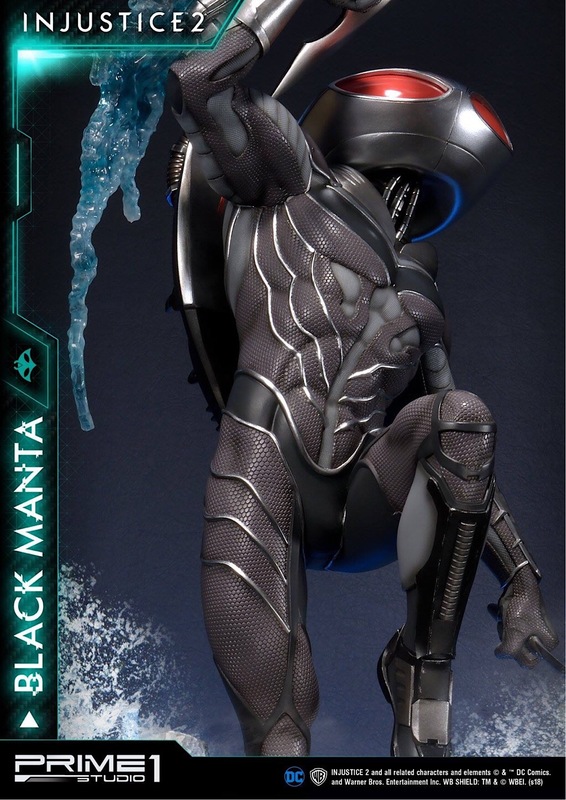 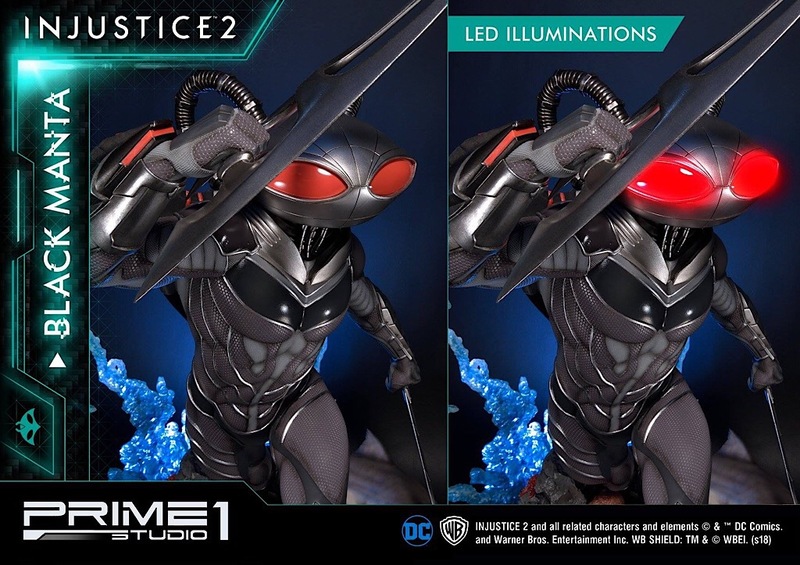 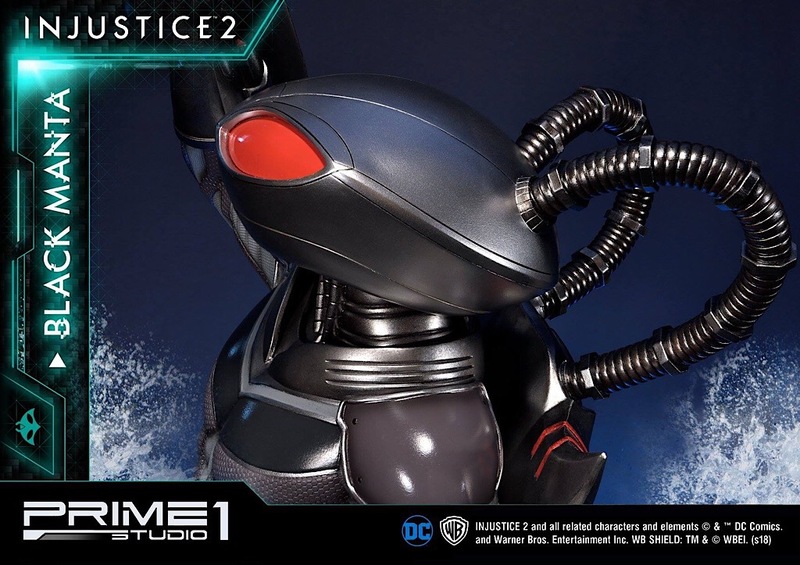 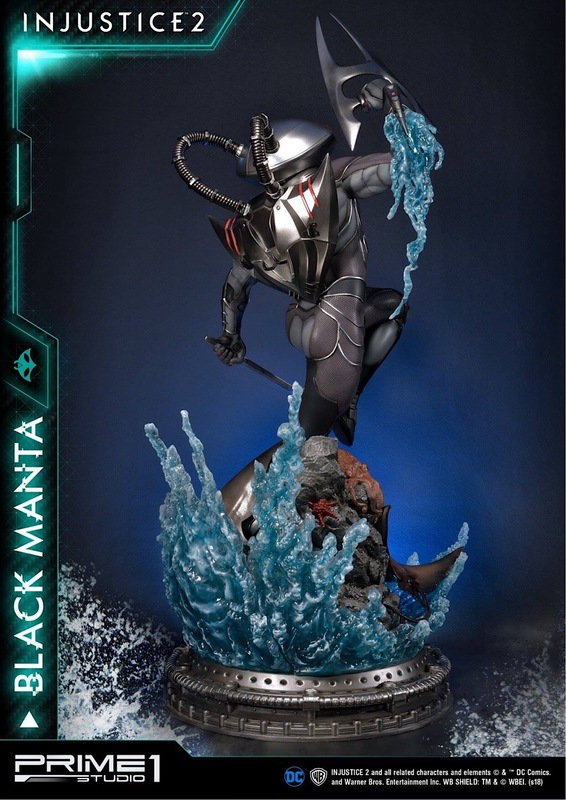 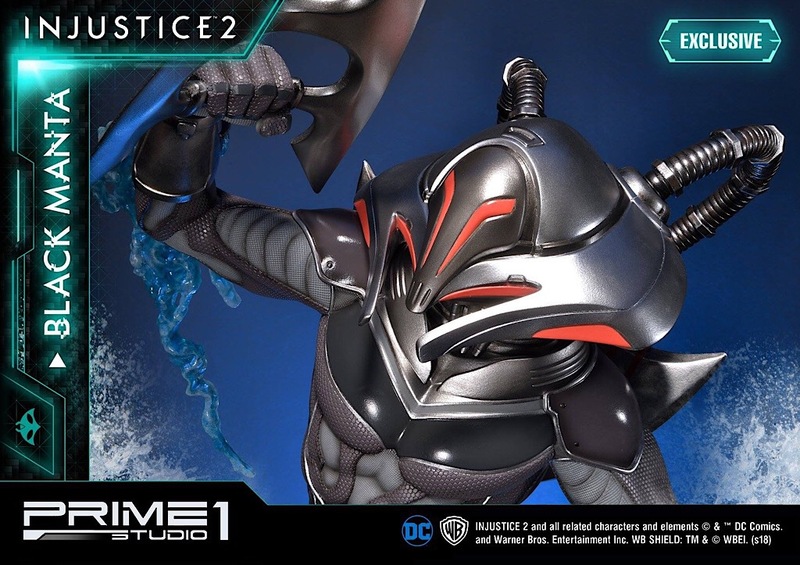 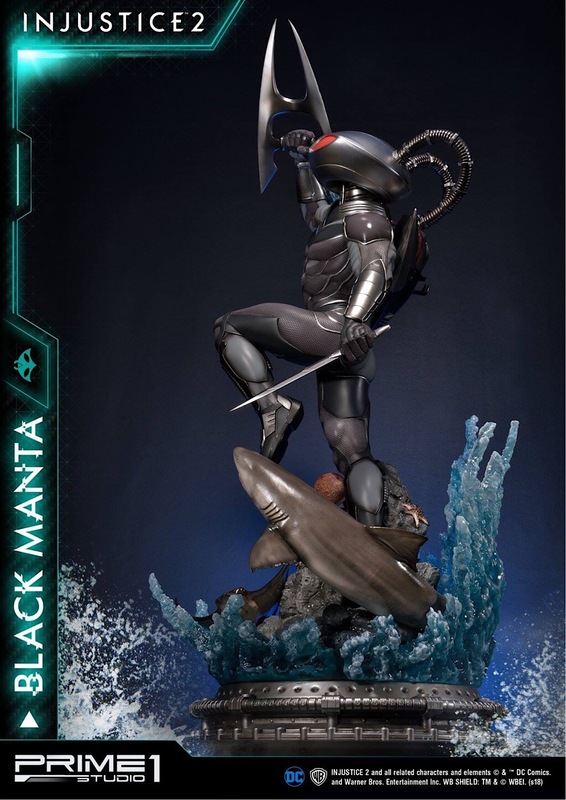 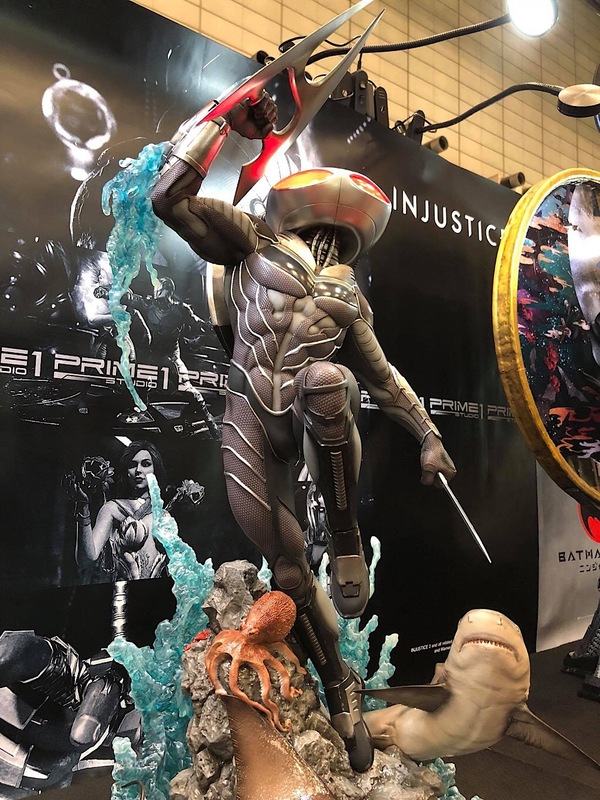 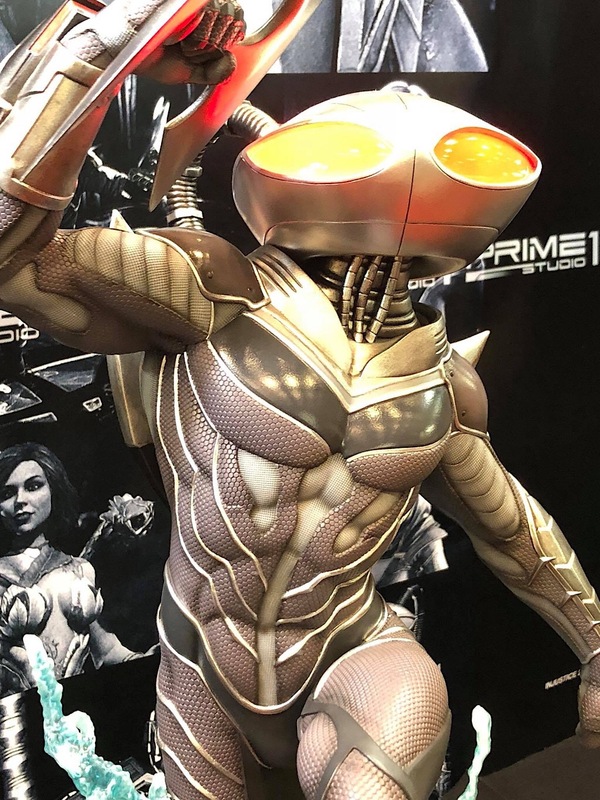 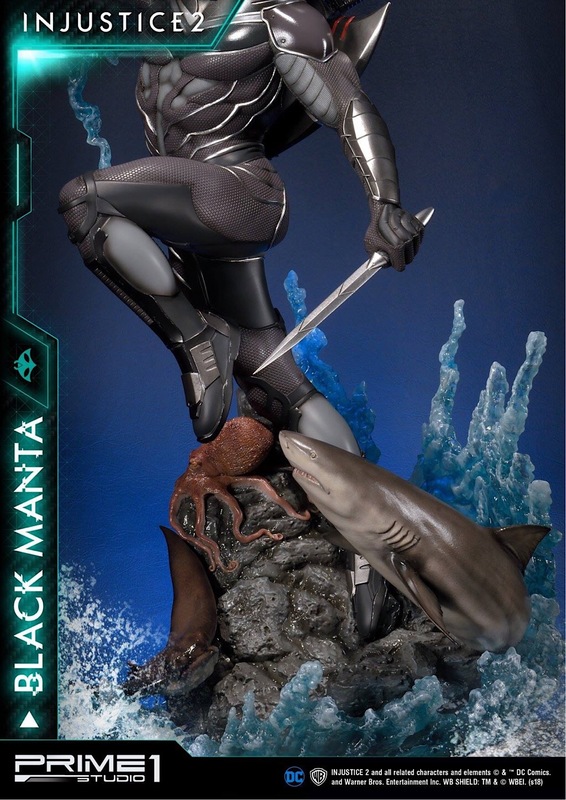 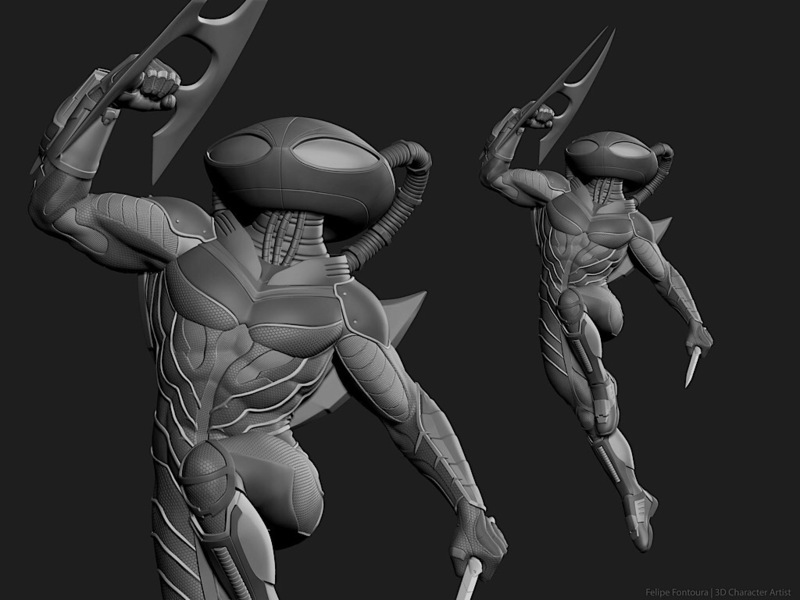 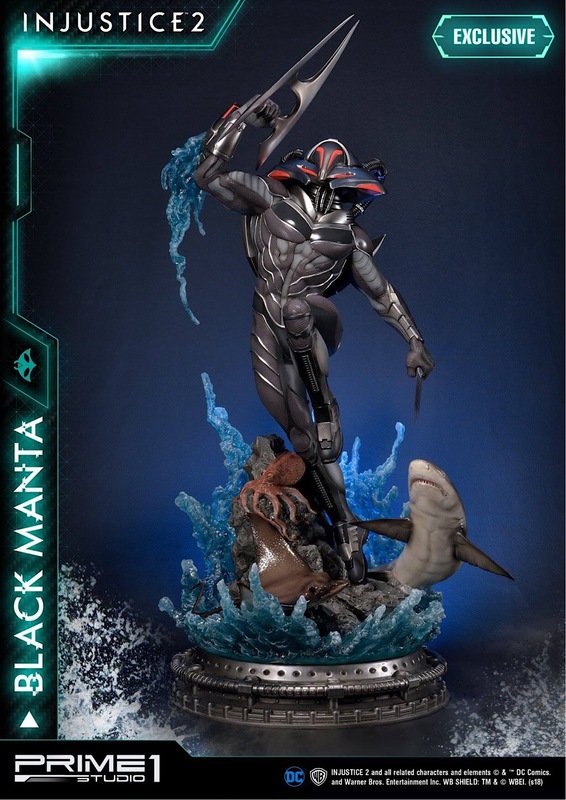 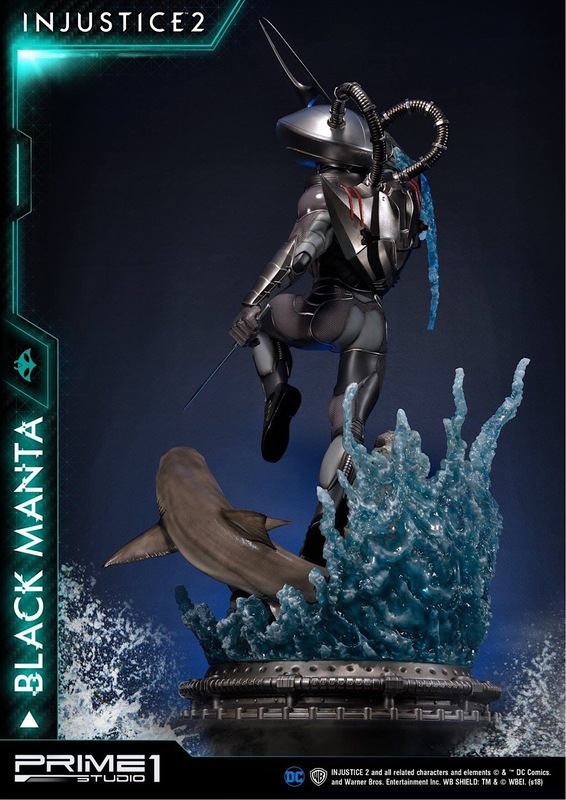 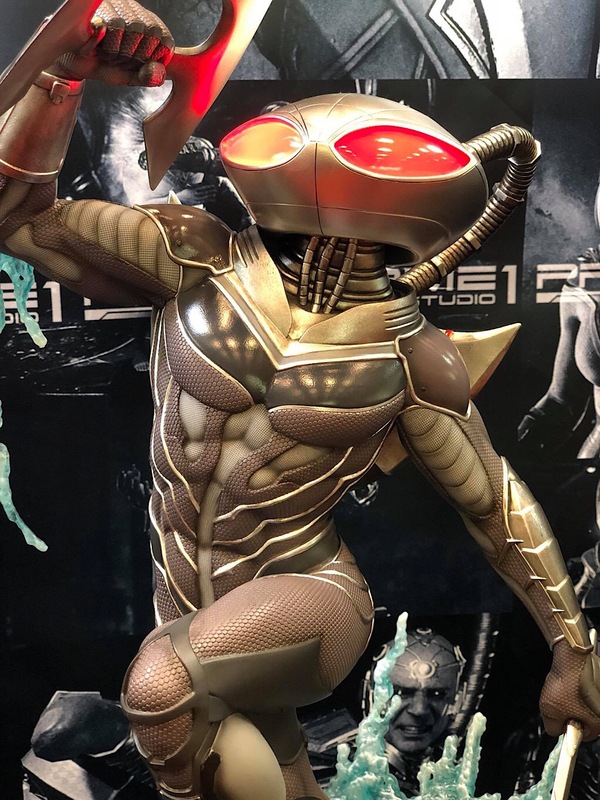 Prime 1 Studio is proud to present 1/4 Scale PMDCIJ-02: Black Manta from Injustice 2. 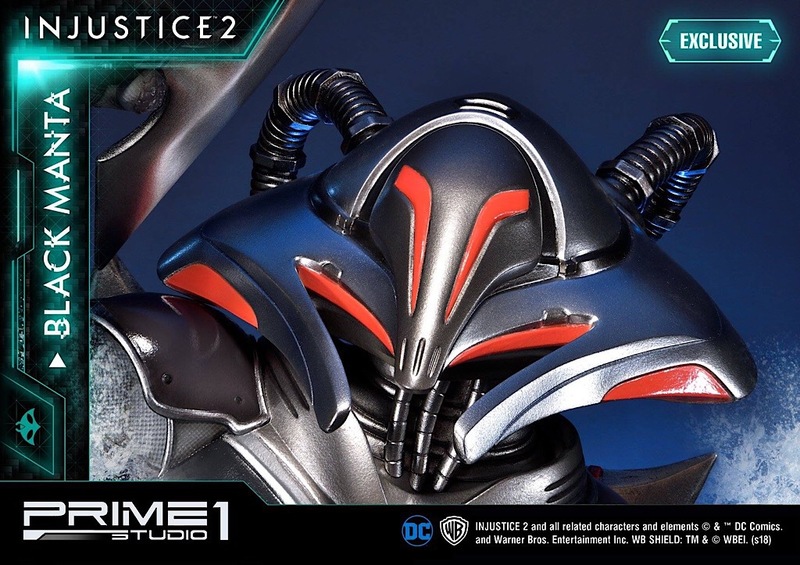 Injustice 2 is a fighting game that is a sequel to Injustice: Gods Among Us. 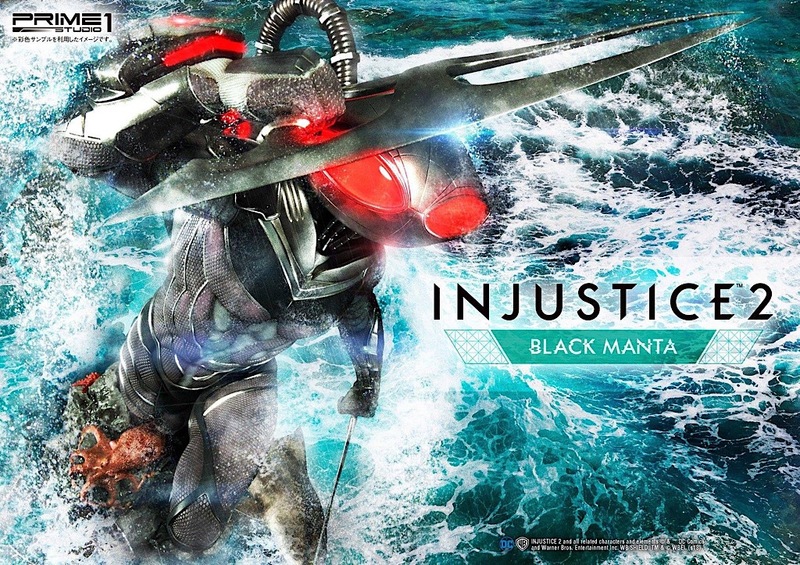 It was released by NetherRealm Studios, known for creating the recent Mortal Kombat games. 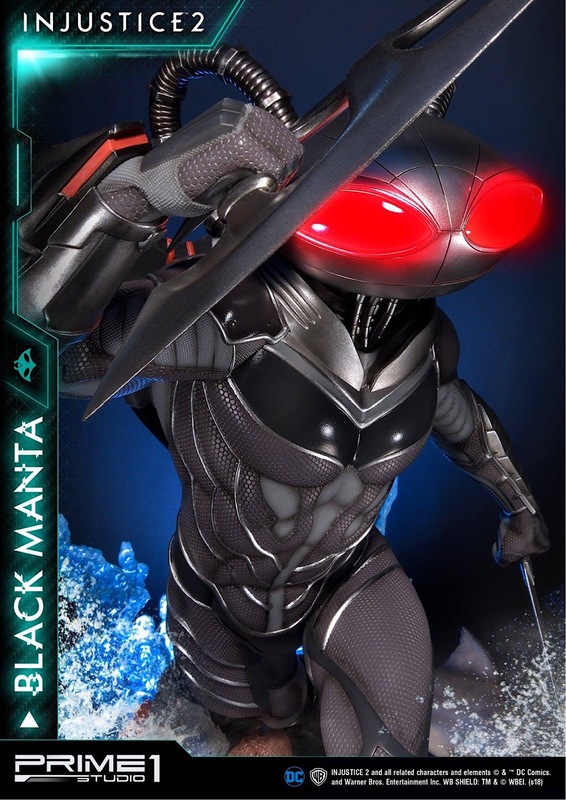 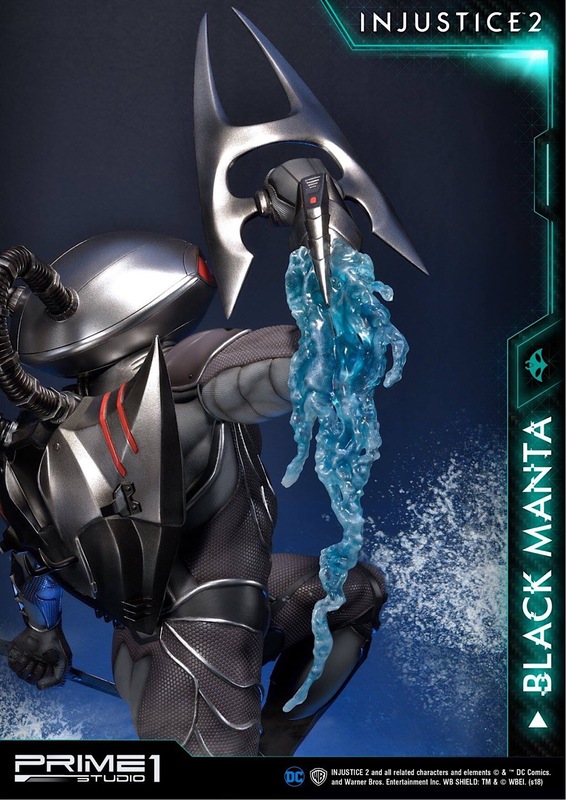 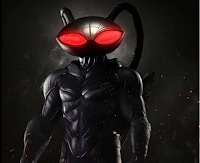 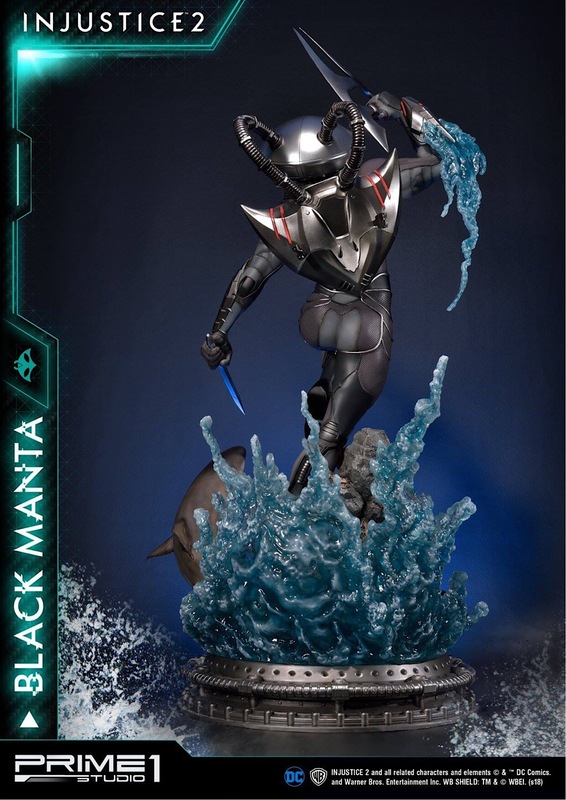 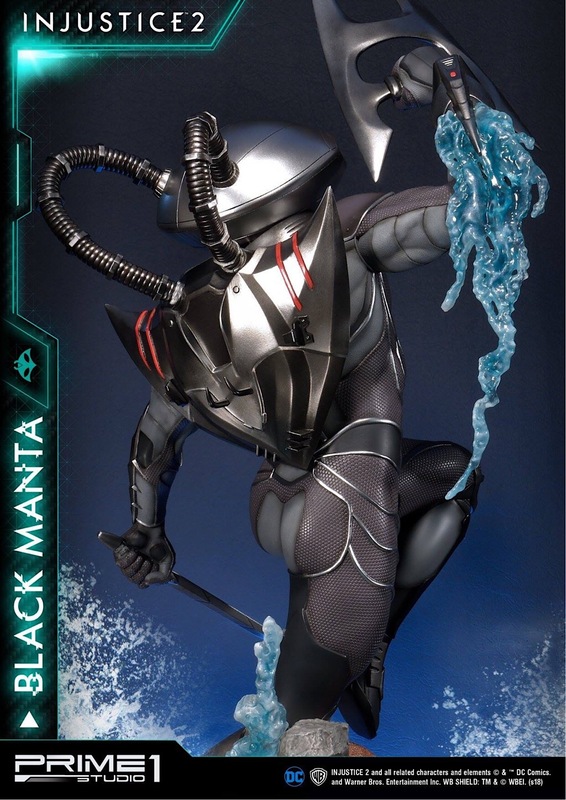 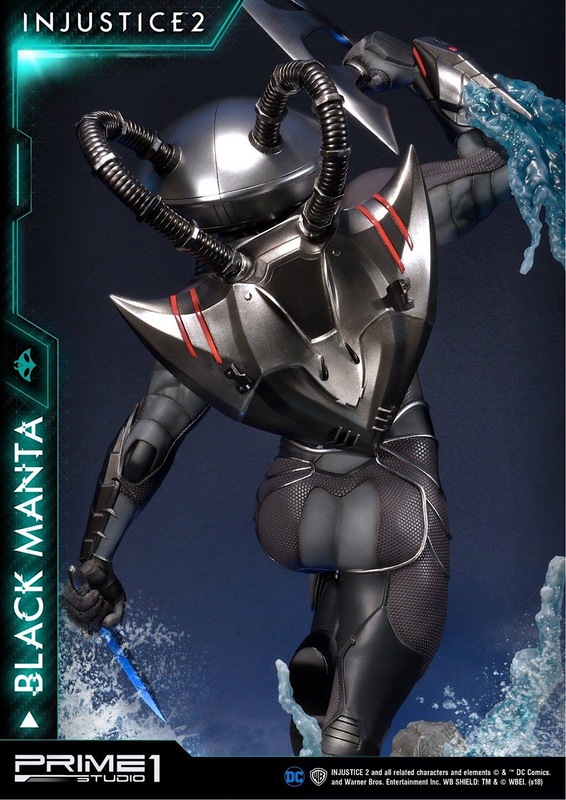 Black Manta is one of Aquaman’s greatest villains. 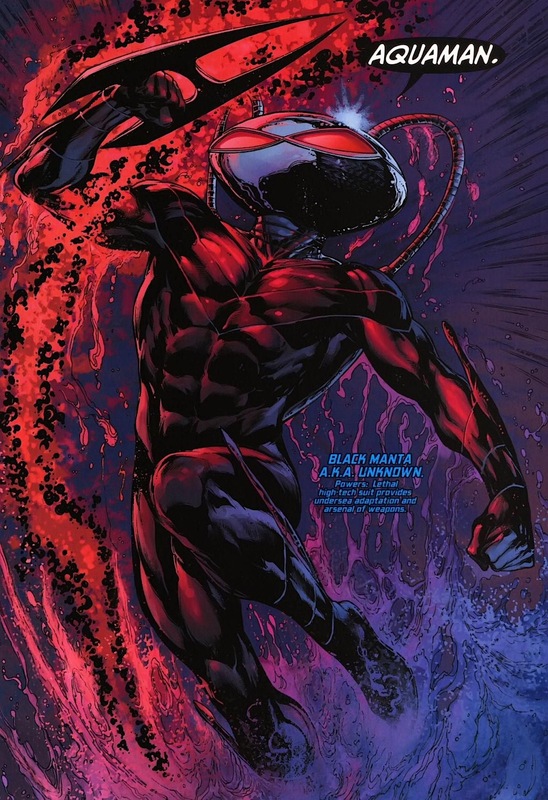 His lethal high-tech suit allows him to survive underwater and adapt to any number of situations with an arsenal of destructive weaponry. 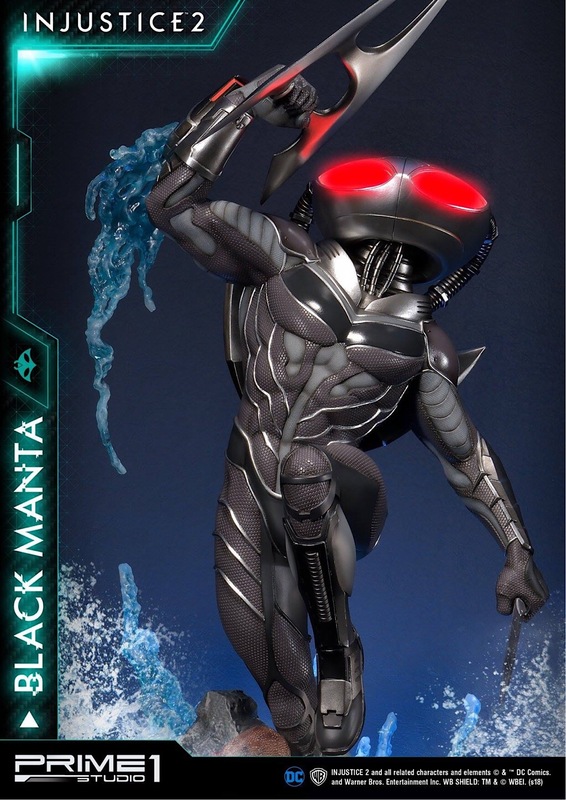 Despite his prominence, Manta remains an enigmatic figure, his identity and his origins kept secret. 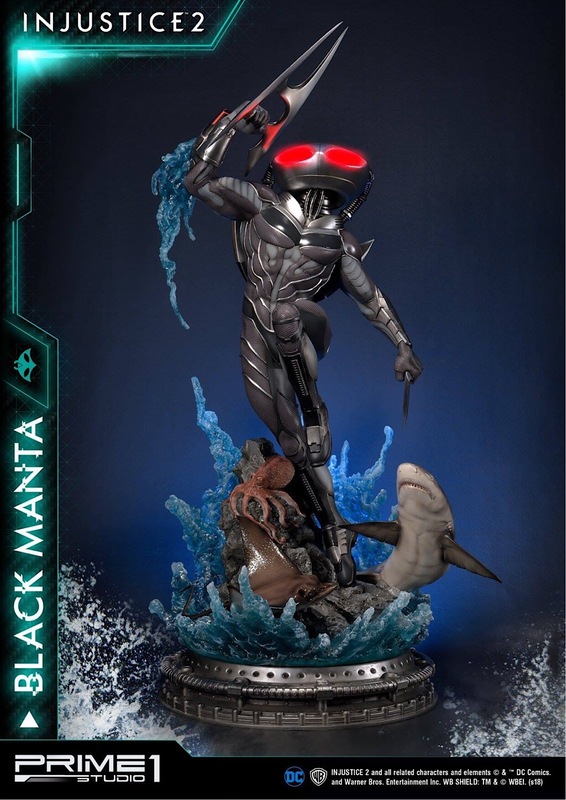 The motivation for his villainy is a deep-seated hatred for the sea due to strong emotional reasons, and a personal vendetta against Aquaman. 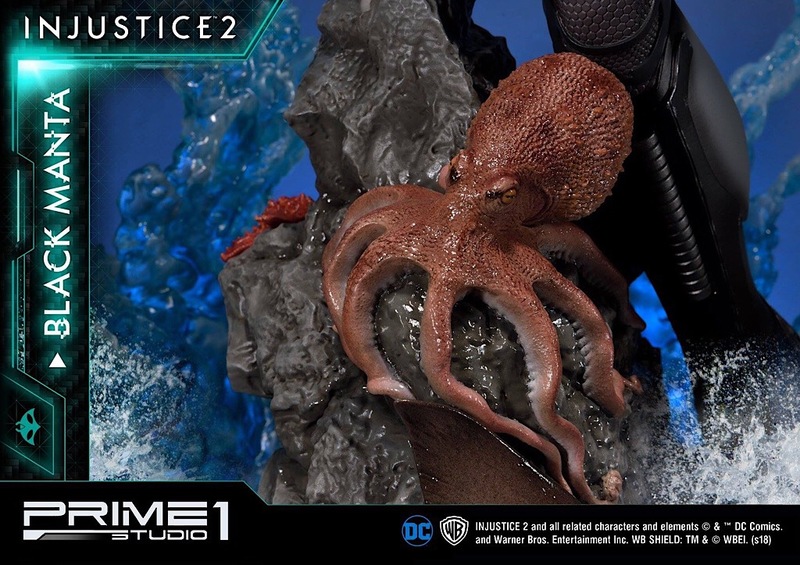 Den kenne ich nicht aber Aquaman haben wir auch nie gelesen. 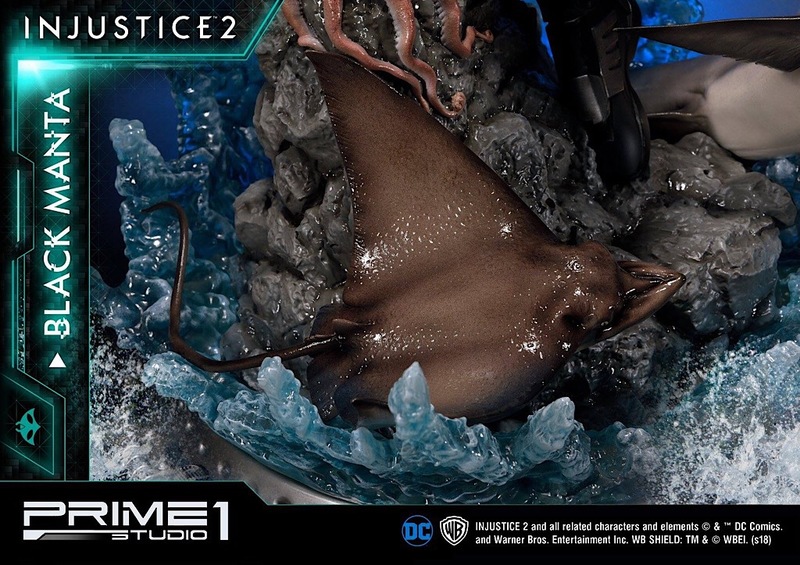 Die Base finde ich super. 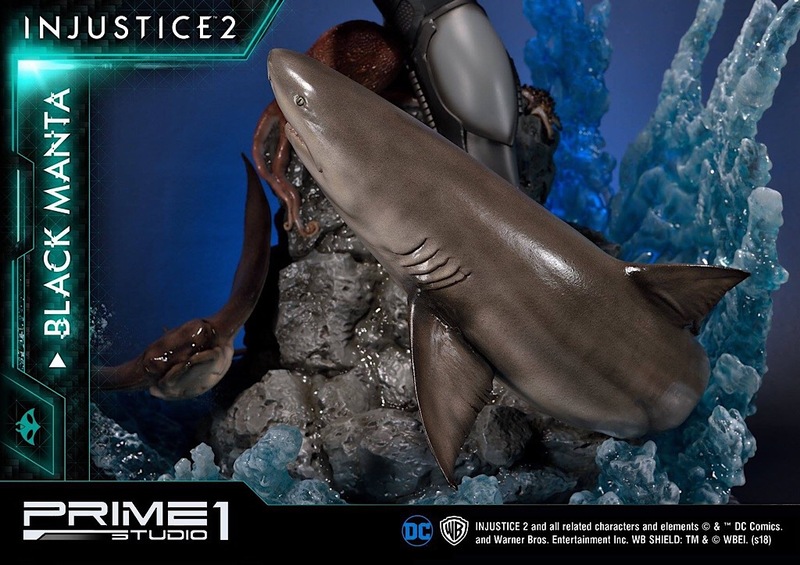 Krake und besonders der Hai sind echte Hingucker. 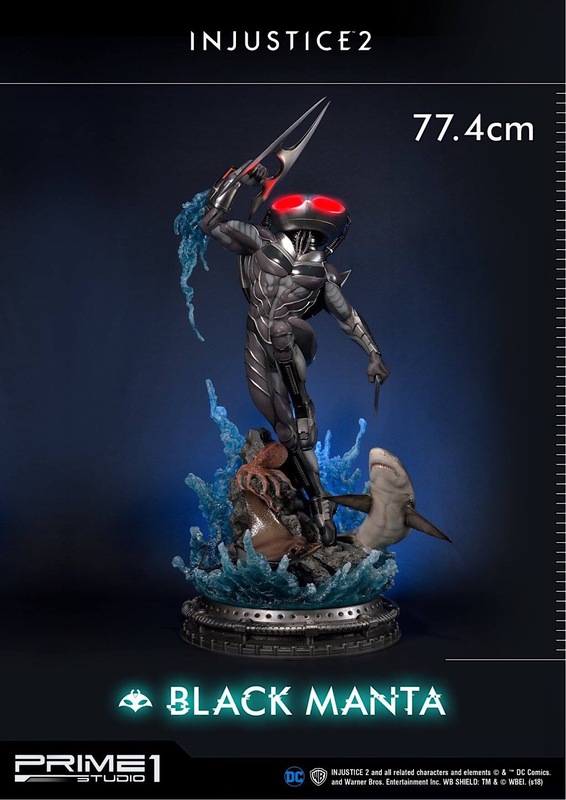 (01.08.2018 22:42)GuteLaune schrieb: Endlich kommt eine 1:4 Statue eines meiner Lieblingscharaktere aus dem Aquaman Universum heraus. 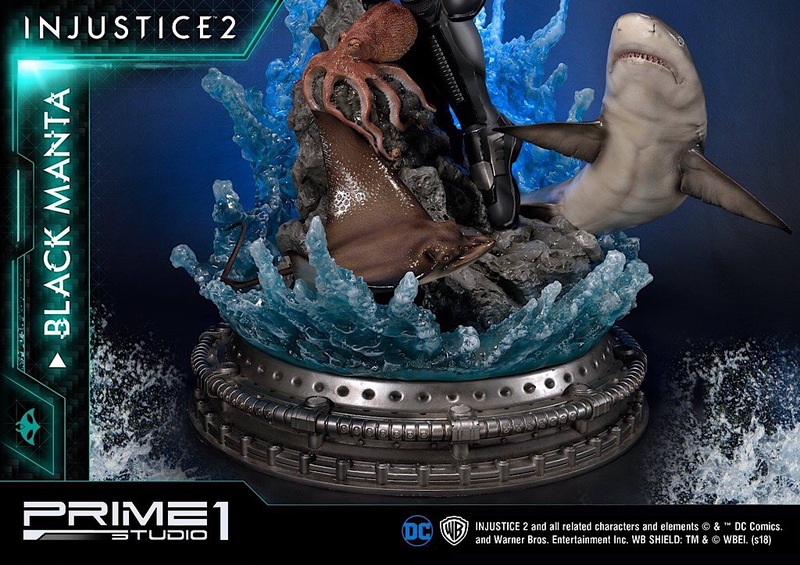 Ein sicherer Kauf, da ich mit einer zweiten 1:4-Veröffentlichung nicht rechne.